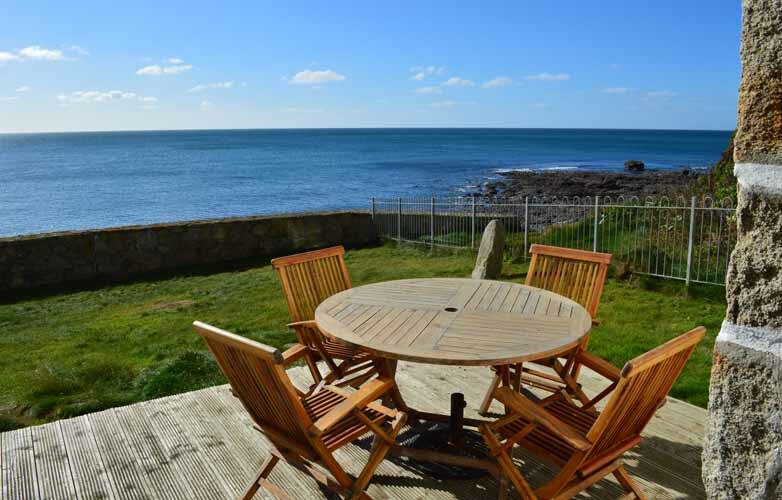 Perched in an idyllic position on the rock slope with uninterrupted views over the outer harbour, this conveted fisherman’s net loft has breathtaking views across mount’s Bay to the Lizard Peninsula. 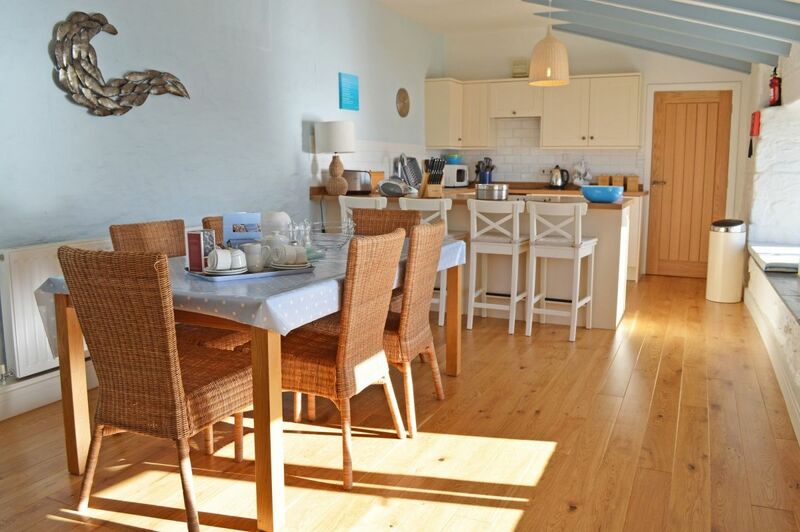 This south facing converted former Fishermen’s Net Loft has breathtaking views across Mount’s Bay to the Lizard Peninsular. Outside there is a garden and timber decked patio area with picnic table and seating. The first floor is open plan providing a large and spacious living area with exposed beams and polished wood flooring with a raised floor area featuring a gas fire. 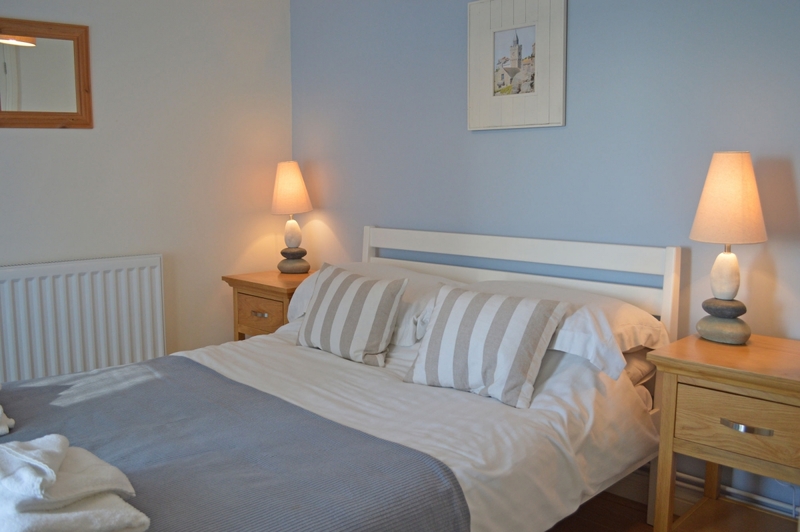 Comfortably furnished with large sofa and armchairs, coffee table and occasional lamps, TV with FreeSAT, DVD lay and bluetooth, digital radio. 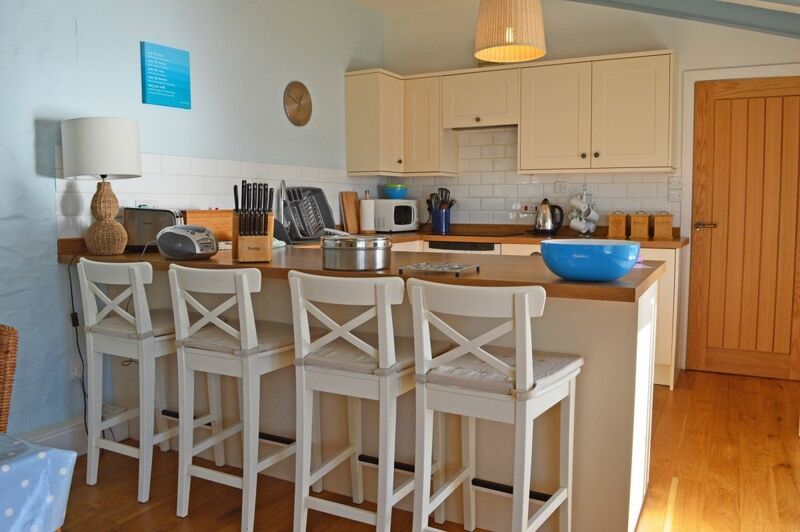 The well equipped kitchen features a touch control hob, electric oven, microwave, toaster, fridge/freezer and washer/dryer. The family bathroom has a shower and there is a separate WC with hand basin and an airing cupboard. There are night storage heaters in all rooms. The nearest beach is on the other side of the harbour and coastal walks are easily reached from here. Private off road parking is shared with the Fishermen’s Loft. DOGS WELCOME. 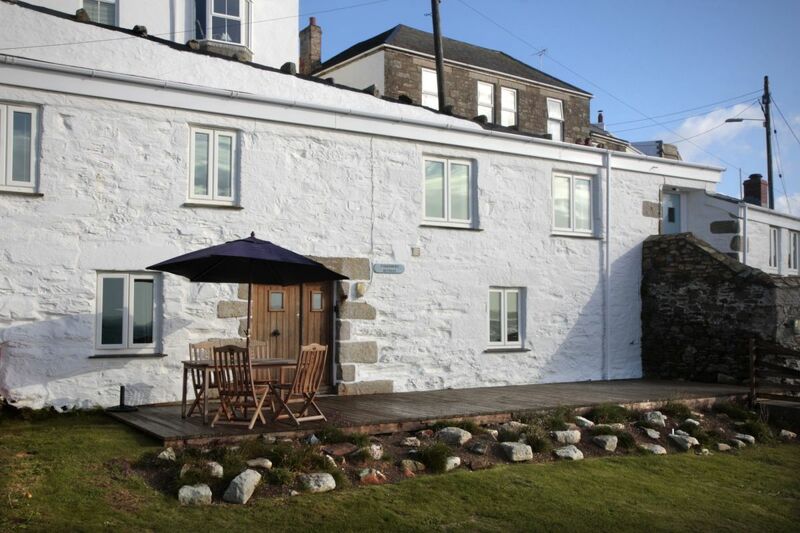 We have used Porthleven Holiday Cottages a few times now and they are very helpful. 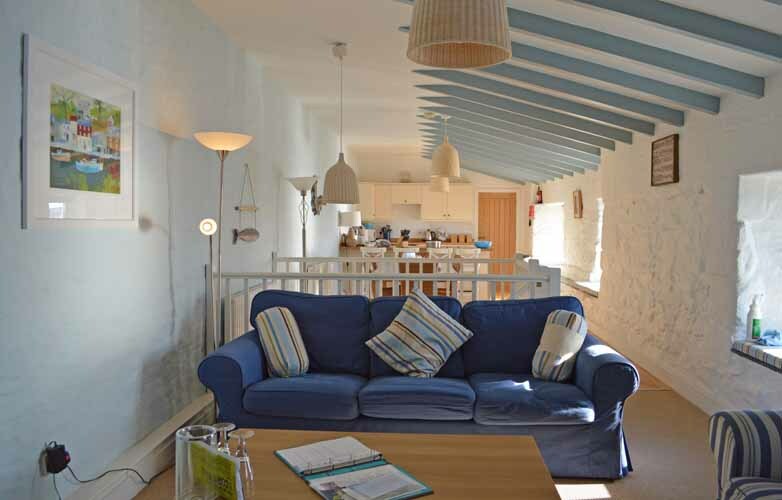 The fisherman’s retreat is certainly that! A retreat or actually more like a real treat. Amazing views utterly brilliant. 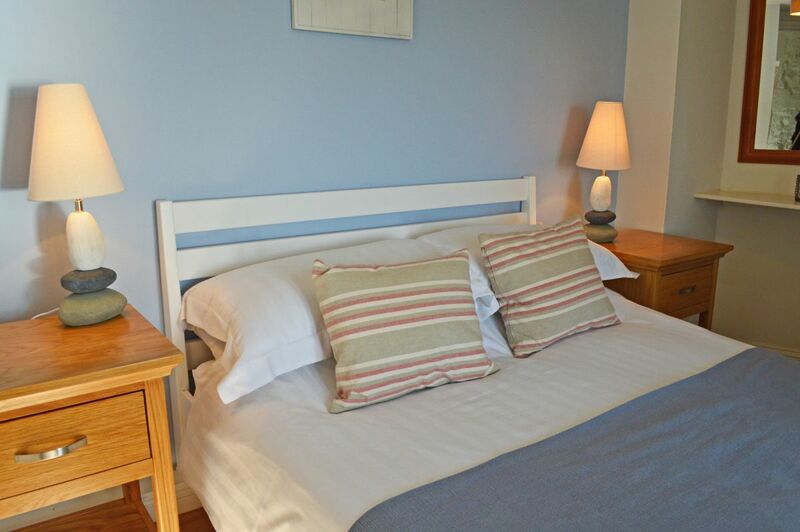 Quality of accommodation is absolutely fab.Very clean and everything you need is inside your cottage/home. Staff were excellent and very helpful. Third stay at Fisherman's Retreat. Wonderful holiday, fantastic views. Porthleven is superb! Look forward to coming back. Fantasic week! Lovely cottage and views. Looking forward to coming back already!Home from home. Super fortnight as usual. A wonderful place - everything we have come to expect over the years. Can't wait to be back in December. Very high standard and service also very good. Linen and towel change was much appreciated. A friendly and efficient lady who did it.